Find My Workspace lists over 95% of the business centres market in Warrington. Simply click Request Quote to check pricing for one office, or Add to Basket for multiple offices. Shared with a property company this large office space with a council free car park next to building offers rent inclusive of utilities. Rates and phones are the only thing that you will be required to pay otherwise. This space is a great new development in a vastly changing area thanks to the new Mersey Gateway Bridge. 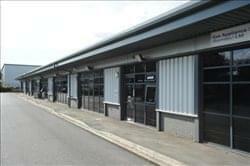 The Building is a large industrial space that has been transformed into a busy unit with room for four new businesses. This elegant workspace, recently renovated to bring modernisation to this distinguished business park; offers a multitude of flexible and bespoke spaces for you to build and grow your business. The award winning on-site team will ease the burden of the day to day running of your company, offering exceptional service to you and your guests. This centre caters for a wide spectrum of business types, anything from startups to well established corporates. This contemporary building, with partial glass roof, will offer a light and airy home for your business. This centre is accessible 24-hours a day. 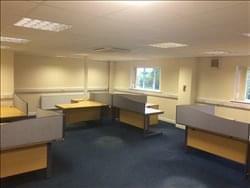 This centre comprises a fully refurbished office arranged over two storeys in its own secure and self-contained site. 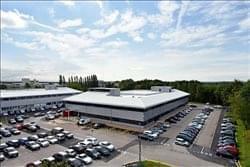 It benefits from immediate frontage and access to the ever popular Birchwood Park. The refurbishment is comprehensive and the property has been stripped back to the core before being re-clad throughout. The new steel cladding and winged roofs have created a premium finish and has resulted in a stand out and striking HQ style building. Amenities include secure parking, reception services and access to a kitchen. The space is accessible 24-hours a day, and if you are commuting by bike, there are showers available. Located in Burtonwood in the heart of the Cheshire countryside the centre offers a viable alternative to town centre office space, with very reasonable rent & rates comparable to city centre locations. The business centre boasts a plentiful supply of roomy parking bays located directly outside your office. A traditional 19th century barn has been converted into a state of the art 2 storey business centre with a lift & full disabled access to the building. All of the office units are energy efficient and utility bills are a fraction of what you would pay in towns and cities. The centre offers 3815 sq ft of total office space with varying flexibility of individual office sizes and leasing agreements. Office space ranges from our small sized units starting at 355 sq ft to our larger spaces at 860 sq ft. An ideal range suitable for small start-ups through to established business organisations with many employees. The barn was converted into state of the art functional office spaces, offering a rural business residence away from the hustle & bustle of the city, yet still close enough for quick access to Manchester & Liverpool via the M6 & M62. 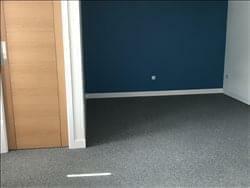 This newly renovated light industrial unit located in Warrington offers a secure space with electric shutter and can be used as a fantastic workshop space. You will also have access to the shared kitchen and bathroom. This unit is located on a secured site with electric gates and CCTV. The space is accessible 24/7 so is well suited for any business needs. This five-storey building has been completely refurbished to provide you with an opportunity to acquire high quality office space in the centre of Warrington. The centre offers private offices and the ground floor is currently being refurbished to include co-working space. Here, there is an on-site art gallery with bistro providing inviting break out space, also available to tenants for promotional/networking events. 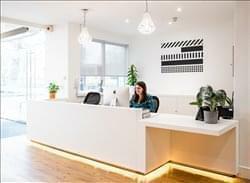 The property features a glass fronted reception area with a manned reception desk. There is also on-site parking available. Serviced Offices come fully furnished and there is also a kitchen for you to make use of. There is also a meeting room available to hire £50 for half a day and £100 for a full day including tea and coffee. This centre is an imposing 58,000 sq. 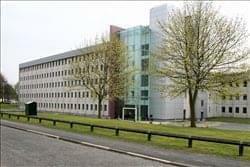 ft. (5,390m²) office building located within the heart of Birchwood Park. The building is arranged over two wings. The West Wing is constructed over five floors and the East Wing is constructed over three floors. The building has been refurbished to a high standard to incorporate a full height glass atrium and spacious reception area. The flexible floor plates can be sub divided to accommodate a wide range of size requirements.